No need for a meltdown – we got you! Did you accidentally forget to put the ice cream back in the freezer? No panic! This magical ice cream bread is the perfect solution. All you have to do is mix the melted ice cream with flour and baking powder, put it in the oven for 50 minutes, and there you have it! 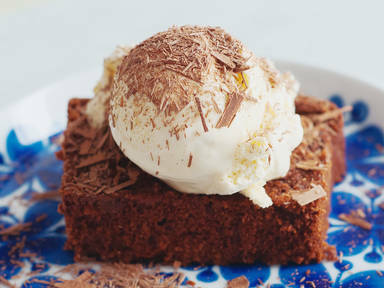 A super moist bread that you can enjoy with even more (frozen) ice cream.